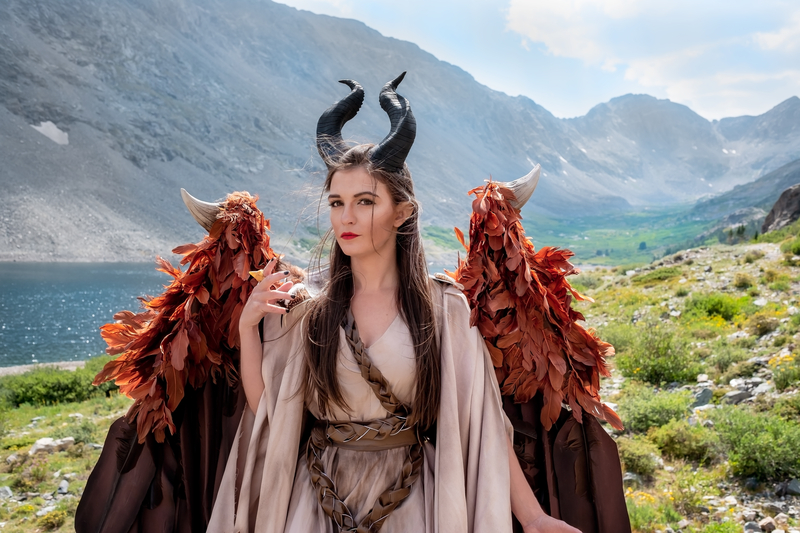 This is my hand made Maleficent costume with fully animatronic wings and hand sculpted horns. Details and video below the pictures. Wings: The wings expand to 13' when fully opened and were made using a variety of materials. 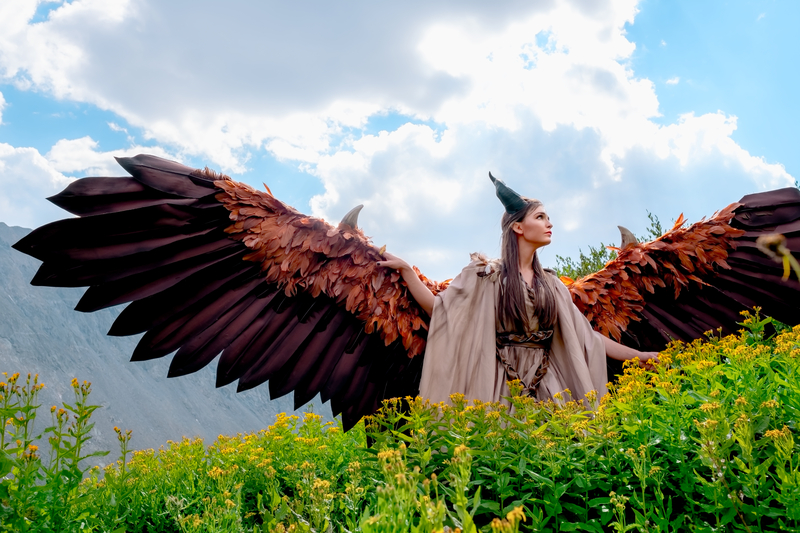 The frame is made of aluminum, the large feathers are made with wire and fabric, small feathers are turkey and goose feathers and are sewn onto a felt "sleeve" to cover the mechanics, and the horns on the wings are made of sculpted EVA foam. They open and close with the touch of a button on a key fob. They open with using 2 linear actuators that are wired into a 2 way radio circuit board and powered with 2 RC batteries. Horns: The horns are hand sculpted using NSP medium clay, molded in Dragon Skin silicone, and cast in Smoothon 65 D. They are then mounted to a headband and hand painted using acrylics. Dress: The dress was made using bed sheets that were dyed with coffee and tea to give it a more natural look. The belt was made with vinyl and weathered with airbrushed acrylic paints. The entire costume took me about 150+ hours to create.